The Bartlett School of Architecture now has a new Hawkins\Brown-designed facility in central London featuring a staircase designed as a "social generator" and studios with no doors. 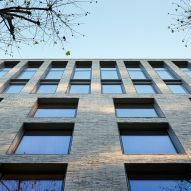 London firm Hawkins\Brown completely overhauled the school's former Wates House campus to create the new 8,500-square-metre building, to accommodate 1,000 staff and students. This more than doubles the building's original capacity of 380 students and 90 staff when it first opened 40 years ago. This was made possible by moving the faculty's library and School of Planning to the Central House building of University College London (UCL), the university that the Bartlett school is part of. Renamed 22 Gordon Street, the building is the first major project of Transforming UCL, a decade-long programme of improvements to the university's Bloomsbury campus. Hawkins\Brown wanted to create "a dense, social and networked building" for students and staff, who are due to move in in January 2017. "The refurbishment of 22 Gordon Street for the Bartlett has delivered a flexible, robust building, launched as the starting point of a new estates strategy that will help the school continue to grow and innovate," said studio partner Euan Macdonald. "A large number of the Hawkins\Brown team are alumni of the Bartlett and have fond memories of the old Wates House," he continued. 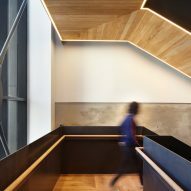 "As an academic space 22 Gordon Street is far more social and interconnected; as an institution, it has become better integrated to its context, outward-looking and welcoming to the public." Hawkins\Brown carried out a "deep retrofit" of the original building, using the original concrete framework but completely reconfiguring the interior and adding two extra levels to take the height to six storeys. The studio also added a full-height extension to the south of the existing building and faced the whole structure in grey brick. 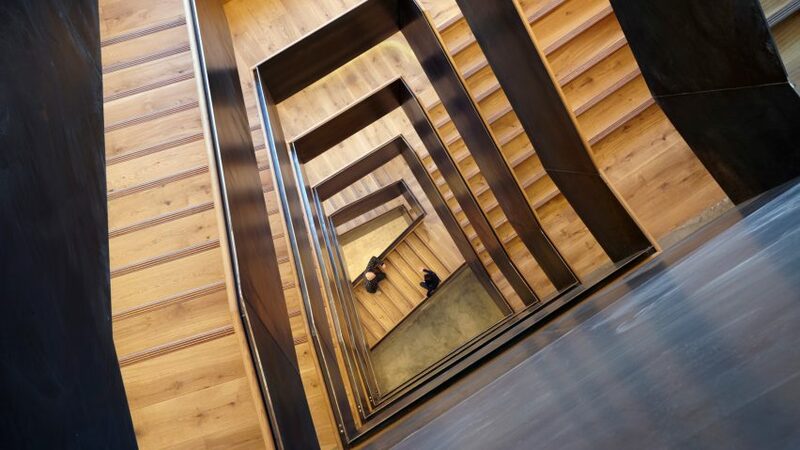 A wooden staircase with black metal balustrades rises through a full-height atrium, designed as a "social generator". It forms the primary circulation space for the whole campus, encouraging students to cross paths on their way between open-planned studios. 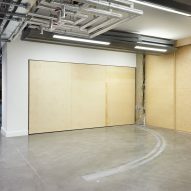 Extra socialising spaces, and the removal of all studio doors, are intended as further aids for interaction. Double-height glazing at street level and a more prominent entrance are intended to create a "shop window" for the school. A gallery joins the existing auditorium to provide space for both school and public events. 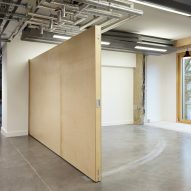 "Moving to Hampstead Road was a revelation for the school and the temporary home enabled us to develop our approach to both teaching and research," said Bob Sheil, who is director at the Bartlett School of Architecture. The Bartlett was the second-highest ranked school and the 33rd highest overall entry in the 2016 Dezeen Hot List - an index of the people, companies and organisations our readers most wanted to read about over the past year. Hawkins\Brown were ranked 78th among architects in the Hot List, and 183rd overall.